DEPECHE MODE, RED HOT CHILI PEPPERS, PRINCE, STING, PINK, RIHANNA, MARK KNOPFLER, JOE COCKER, ALICIA KEYS, BOB DYLAN, RAMMSTEIN… are just some artists that already hit the stage of the Rockhal and the story goes on! Since its opening in September 2005 the Rockhal rapidly became the No1 concert venue for Luxembourg and the so-called “Greater Region” which means the directly neighbouring parts of France, Belgium and Germany. Situated in front of the impressive landscape of Luxembourg’s once biggest steel works, the Rockhal is one key part of Belval, a new vibrant city quarter which is amongst the most ambitious urban development projects in Europe. 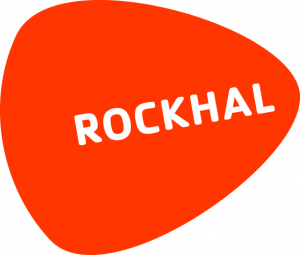 Servicing several venues in the building, the key to Rockhal’s success is its flexibility when it comes to the layout of the venue and capacity. From intimate shows up to a standing capacity of 6.500: at Rockhal everything is possible. But Rockhal is far more than a mere concert venue. Rocklab, its Music & Resources Centre, consists of a team of experts who have at their disposal a complete infrastructure of rehearsal rooms, a recording studio and a media library to support emerging artists and the national music scene.